I have a wonderful aunt who for the past 20 years has always sent me a box of Chocolate Covered Cherries for Christmas. She also likes to include a little something extra for me and the boys like a hat, scarf, gloves or toiletries. 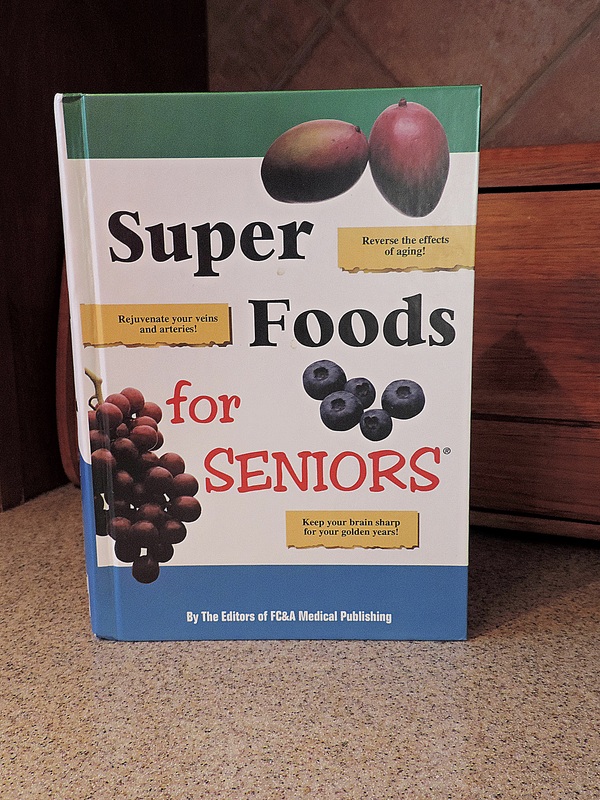 This year, in addition to the candy and a sweatshirt for the boys, she included the book “Super Foods for Seniors“. At first I took offense, am I really a senior, hey, I’m only 52, but in actuality, I AM a senior, maybe not a Senior Citizen but I am past the mid-way point of my life. I know there are things I can no longer do, wear or even eat, so I’ll accept being a senior and try to stay as healthy as I can for as long as I can. After I got over the title I opened the book and boy was I pleasantly surprised, there are chapters that cover almost every health issue or concern and then it lists the best foods to eat. There are chapters on Blues Busters, Tension Erasers, Body Slimming Secrets, Heart Smarts, Sugar Control, Bowel Basics and Female Focus, this book covers it all and is a great reference tool. In the first chapter “Blues Busters” these are the foods that help with depression, and my grandmother always believed that most of these foods kept you healthy. These “Blues Buster” foods will not cure severe depression as that’s a chemical imbalance in the brain, but not eating right can cause mild depression. The foods listed contain brain boosting vitamins and nutrients that can help chase the blues away. Unfortunately, women experience depression far more often than men because of our hormonal changes due to menstruation, pregnancy and menopause. Seniors, (that’s me), are especially at a high risk for depression so this weekend I think I’ll make some Gumbo because I’ll be mildly depressed as we celebrate our youngest son’s 18th birthday – where is the world did the time go! If the Gumbo doesn’t lift my spirits, perhaps a few of these Chocolate Covered Cherries will do the trick! Sounds like a good book. When I first saw the title I wasn’t sure if it was about Sr. in highschool or senior as in us 😉 I want to know what female focus is/means and please post the body slimming foods!!!!!! I know, and I had planned on posting a chapter a week to keep us (seniors) on the road of healthy living. You know I am going to post the body slimming foods next – as if you need it Ms. Skinny Minnie! Yes, my grandmother was the same way, if she didn’t have fruits and fresh veggies everyday she didn’t feel right and she lived to the age of 98! Yes, I haven’t even opened the box, like I said, I can’t eat what I used to eat! I’m not a senior yet, but I will be soon enough. I need get this book for my mom and Grandma. Then when I am a senior in a few years, they can pass it on to me. PS…. You’re gorgeous! And I didn’t think you were 52. I need that book 🙂 and some of those cherries. Looking forward to more food lists from you. Yes, thank you, I will be posting a chapter a week – I love my aunt for looking out for me. 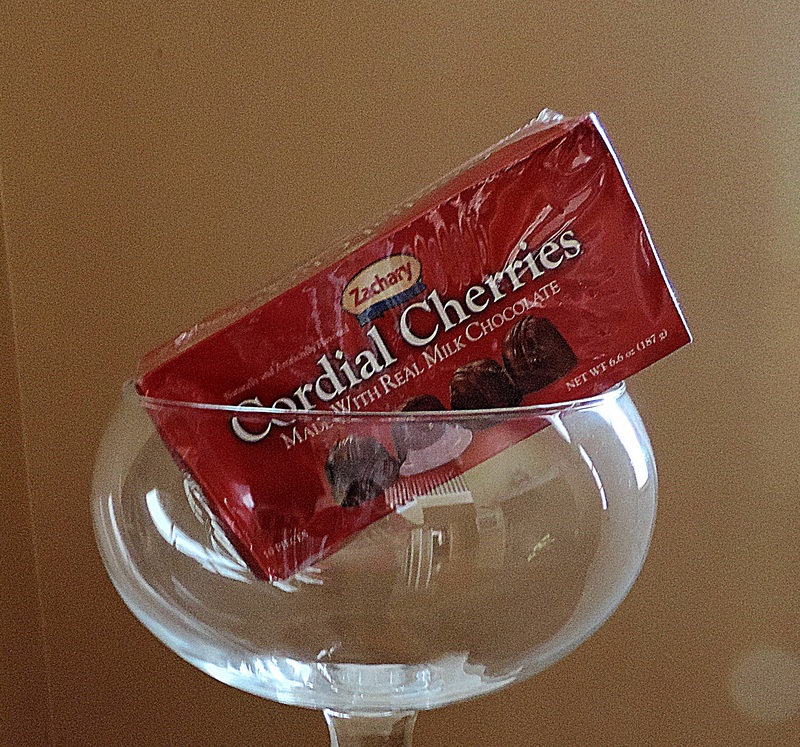 Believe it or not, I haven’t opened the cherries yet, trying to be good, after all I can’t eat what I used to eat! So very sweet of your aunt. Yes, she is and the last remaining one – God bless her!